When Mozillians hear that we’re updating the Mozilla brand identity, they respond with enthusiasm, impatience and confusion in equal measure. A brand identity – logo, tone, tagline, typeface – isn’t something to be trifled with, especially with a brand as well respected as Mozilla. Back in late 2014, the creative team began working on a new look for Mozilla, a so-called living logo. The graphic heartbeat of this logo came from real-time data about our engagement with the world. 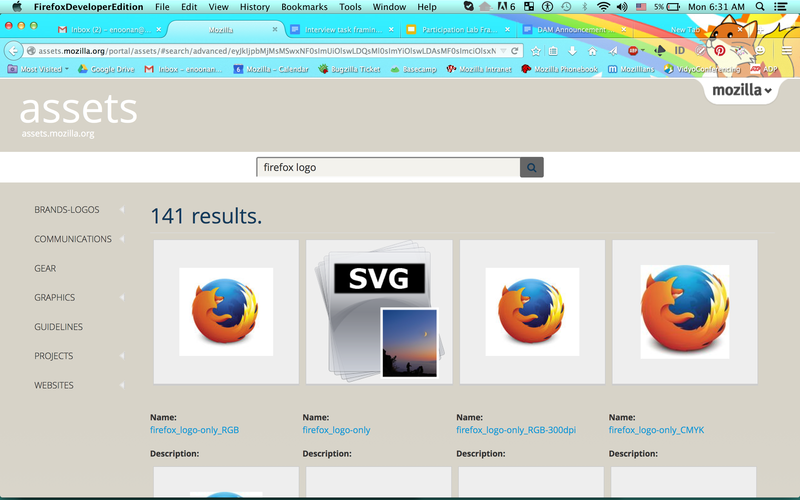 Having a brand identity that reflected the daily number of Bugzilla requests, Mozilla contributors, and Firefox users, for instance, was a brilliant idea. Except that, in the end, it couldn’t be made to work. Chalk that experience up to good learning. Fast forward to today. As you heard Chris say onstage in Orlando, our mission and vision are now clearer and stronger than before. We’ve built a new brand position for Mozilla: being a true personal advocate for online life. We promise to advocate for people both within their online experience and on their behalf for the health of the Internet. From that solid foundation, we’re ready to explore how our brand will look and sound in the world, reinforcing what we believe and what we can deliver. A 2016 goal for Mozilla is to Grow Our Influence in the world, and a new identity will make it easier. Brands need to evolve to stay relevant. Introducing a refreshed identity will be a milestone for Mozilla, will provide a new badge of belonging to our movement, and will help tell the world what we stand for. When more people grok our mission, they will want to walk shoulder to shoulder with us and contribute more. Yes! The need for a new Mozilla identity is also long overdue (see posts below). 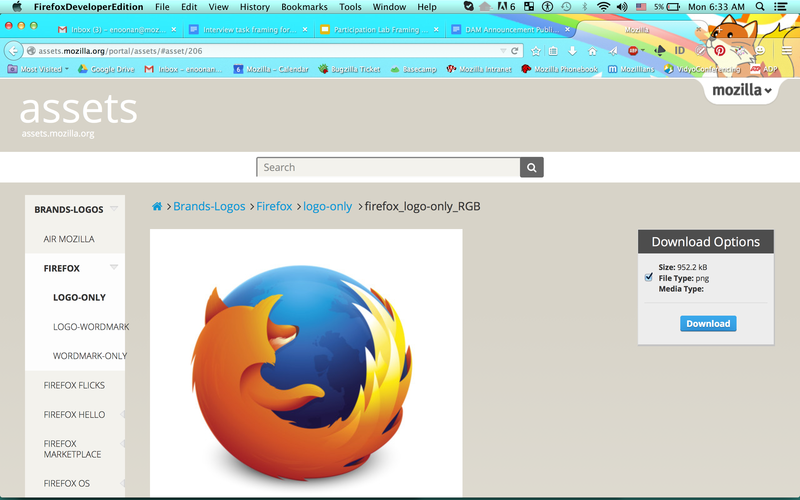 The word “Mozilla” and a handful of muted colors are no match for modern communication. Lacking an icon to represent our brand in social media, for instance, we have shown up as a heart, a whimsical unicorn, and even a famous candy. (Mozilla melts in your mouth, not in your hands?) Our whole organization, especially our Mozilla global communities, is eager for direction and a bigger toolkit of creative assets. An invitation to contribute. If you have an idea for what the Mozilla brand identity should look like, please write to me, send me a sketch or shoot a video. We’ll formalize design challenges through our Community Design github repo as well. A Brand Advisory Group. Made up of a cross-section of Mozillians, this group will bring different viewpoints and expertise to the table as we review our work in progress. Access to working documents. Those who are interested and disclosed will be invited to view strategy, positioning, and briefing docs not available publicly. An opportunity to geek out on branding stuff on the Engagement# Projects/2016_Brand_Identity_Initiative on the Mozilla wiki. We’re now selecting an agency partner for this work. Following a few rounds of creative review (highlights posted here), we hope to have a new Mozilla identity defined and ready to share later this year. 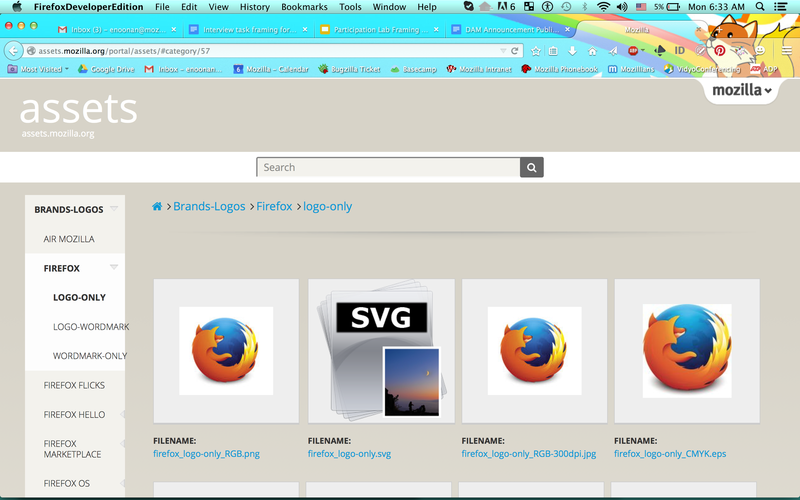 Oh, and we’re also starting to think about the Firefox identity. But that will have to wait for our next post. Meanwhile, the comments box awaits your cursor. Firefox has a new feature called Firefox Hello, an easy video conversation tool that’s built into the browser. This feature is a bit different than other typical browser features. People have built companies around similar technology and we think the underlying technology that powers Hello has the same potential. It’s called WebRTC (Web Real Time Communication) and has become a standard in all modern browsers today. The easiest way to connect for free over video. The really interesting part of the Firefox Hello product launch was that we gradually rolled it out to various locales over a period of about two months. For all those different stages, we created various marketing materials, including four videos. The main product video was also localized into several languages for key markets, making each one a unique, standalone product. 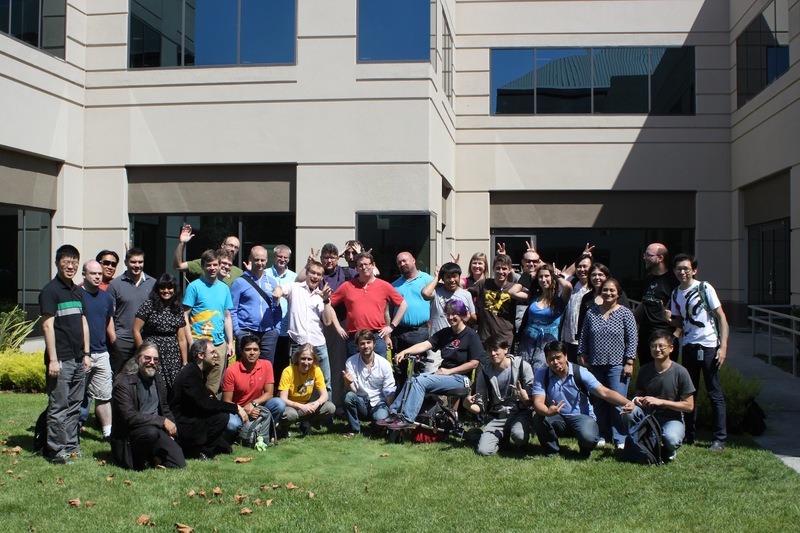 A BIG shout out to our l10n team for the localizing and for generally being awesome. Mozillians love their t-shirts. And Firefox users love their add-ons. Add-ons let you completely customize your browser, from the way it looks to the way it behaves. To celebrate the community of add-on developers from all over the world who make this possible, we’re creating limited-edition t-shirts to send as thank-you gifts. To make this celebration more participatory, we are taking submissions for the design. If you’d like the chance to have your artwork featured on this special shirt, please submit a design! Your design should be an artistic representation of the following themes, so be creative! (Your artwork should not be a reinterpretation or alteration of a Mozilla or Firefox logo, although an original representation of a fox or red panda would be ok.) Branding will be added to the back or arm of the t-shirt by our Creative staff. If you have a particular t-shirt color in mind, please include it in your email as well. We can’t guarantee it will be printed on a shirt of that color, but it will help to know what the artist intended. Limit 3 designs per entrant. A panel of judges will select three designs, and community voting will decide the final design. Employees of Mozilla are not eligible to participate. Your designs may not: (i) contain vulgar, offensive, obscene, lewd, or indecent language, behavior or imagery; (ii) defame, libel or otherwise violate the rights of any third party; (iii) violate or facilitate the violation of any federal, state or local laws or ordinances; or (iv) target anyone because of his or her membership in a certain social group, including race, gender, color, religion, belief, sexual orientation, disability, ethnicity, nationality, age, gender identity, or political affiliation, or contain a symbolic representation of any group that targets anyone because of his or her membership in a certain social group. Designs that are, in Mozilla’s sole opinion, inappropriate, objectionable, harmful, inconsistent with our image, or otherwise not in compliance with these rules, may be disqualified, and we may remove any design that has been posted for any of these reasons. The designs selected by the judges will be posted on a website and the community will be invited to vote for the best design. 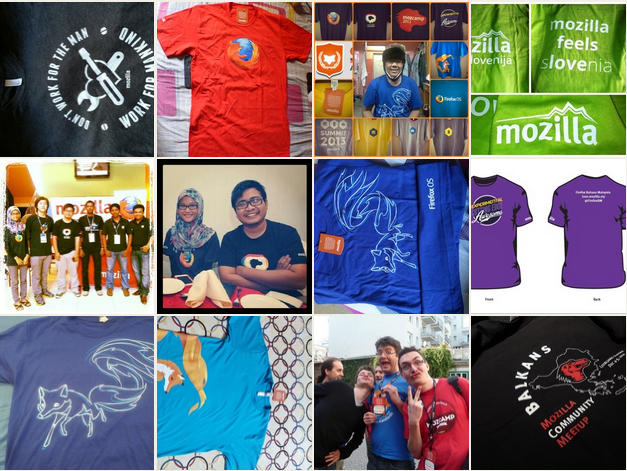 The design receiving the most votes will be the one that Mozilla uses on the limited edition Add-ons t-shirt. If there is a tie in the community voting, the judges will select the overall winner. We ask that you not employ any means that is inconsistent with getting an honest picture of the community’s genuine opinion of your design to obtain votes. Examples of inappropriate activities include automated reviews, use of contest services, payoffs or promises to others in exchange for votes. 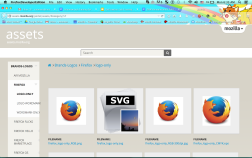 Last year, the IT team, Creative team and Barry Munsterteiger partnered to find and implement a solution that would make storing and sharing digital assets within Mozilla simple and centralized. After looking at several solutions, we settled on a Digital Asset Management System powered by NetXposure. Over the past several months, we’ve been working closely with NetX to launch three initial Mozilla portals: Creative Assets (assets.mozilla.org – replacing previous assets.m.o), Firefox OS Partners (replacing Box.com) and Community Events (events.mozilla.org – includes Events team & Reps assets). These portals will host all of our visual assets from the past, present and future, including logos, videos, Web designs, print designs, campaign-specific designs, gear and everything in between. On Wednesday, March 11 at 9 AM PT, Ty Flanagan from the Creative team will tell you a little more about the DAM system, show you how to download assets and then answer your questions on IRC in #fistbump (Creative team channel). You can also submit questions ahead of time on Moderator. Check out the demo here. The demo will be recorded and posted for you to watch later, in case you can’t make it to the live session. The core component of our MozID project is a new “living logo” for Mozilla – one that is directly shaped by the activity of our community and evolves over time based on that activity. We’ve shared some examples of other living logos, and reported that we’re working with Pitch Interactive to build that data visualization, but the concept can still be a little abstract until you see it. The good news is that now we have a rough working prototype that allows you to do just that. The prototype itself lets you take straightforward information about community activity (sourced from areweamillionyet.org) and turn them into a logo-ish shape. First, adjust details like opacity, shape of the curves or the particular sources of the data, then click the ‘transform’ link to see them all come together. Our logo will be much more visually refined and styled than this, but it’s pretty eye-opening to see it all come together…especially considering that it will be a constantly shifting representation of the heart of Mozilla. I’m really excited about that part in particular. Stay tuned for more details on this project coming soon! As I mentioned last week, one of the ultimate goals of our MozID project (including the logo, but not limited to it) is to create design assets and materials that will help Mozillians everywhere communicate more effectively. To that end, it’s incredibly important that we understand how people use what’s available now and what they really need going forward so we can work towards solutions that will be meaningful. * 91% of respondents have a Mozillians profile; people were pretty evenly distributed around the world. 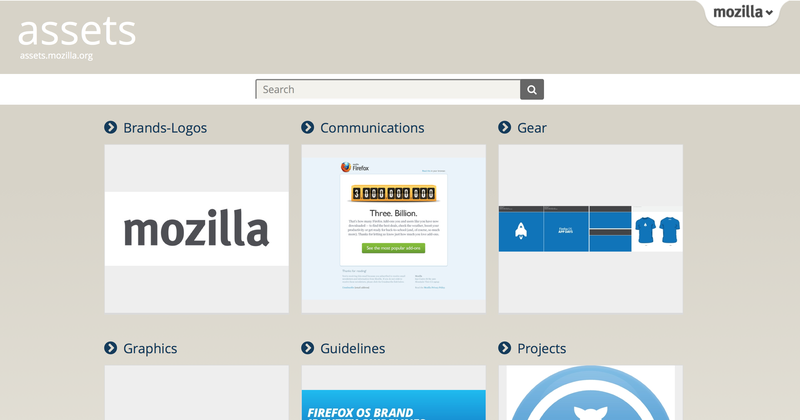 * 61% currently get design information & assets from the Mozilla Style Guide. * 82% of people would find easily available visual assets to be helpful. * 62% would be likely to use an online tool to create their own customized logos. * 83% would use the new Mozilla logo or a version of it customized for their own communities. * 12% would prefer their existing community logo. * Common use cases include websites, t-shirts, event materials and other swag. If you’d like to dig in deeper, the full set of results is available here. This has been helpful to me, because one of our ideas is to create an online tool that would allow Mozillians to create their own custom versions of the new logo. We’re not sure how that would work yet – perhaps it would be based strictly on that user’s data, or perhaps there would be more direct opportunities to directly tweak the details to fit your preferences, or perhaps both – but it does seem like there’s interest in such a thing. I know there are some really good community specific logos out there (Mozilla Mexico has one of my favorites, for example), and we want to be sensitive to that legacy, but if we could create a system that would feel both standardized across Mozilla and also unique to each individual or local community that would be really cool. Many thanks to the 600+ people who responded to our survey. We’ll be asking follow-up questions AND sharing some design ideas soon…watch this space for details! The creative team is spread between various Mozilla offices and home work spaces across North America, so when we do get together in person the level of activity is fairly…busy. Of course, an essential element of this brand story is the open source philosophy that Mozilla is built on. We know that projects are improved by participation and transparency, so it’s of the utmost importance that any effort to visually represent what we stand for include the community every step of the way. This logo will belong to all Mozillians, and its creation process must reflect that. We’ve been posting updates during the early concepting phase, and will share more specific ideas for your feedback as things take shape. But before then, I do have one very important ask for everyone reading this: please give us your input on what you’d like to get out of this process. I’ve put together a quick survey that will help us understand how the new logo will be used, and what the Mozilla community’s visual identity needs are. It will only take a few minutes to complete, and the information will be invaluable to making sure we’re providing the right solutions to the right problems. Here’s that survey link again: please take it! You don’t have to a designer or a branding expert to participate in this. All input is helpful, and all ideas are appreciated. This logo will belong to all of us…let’s make it awesome together!